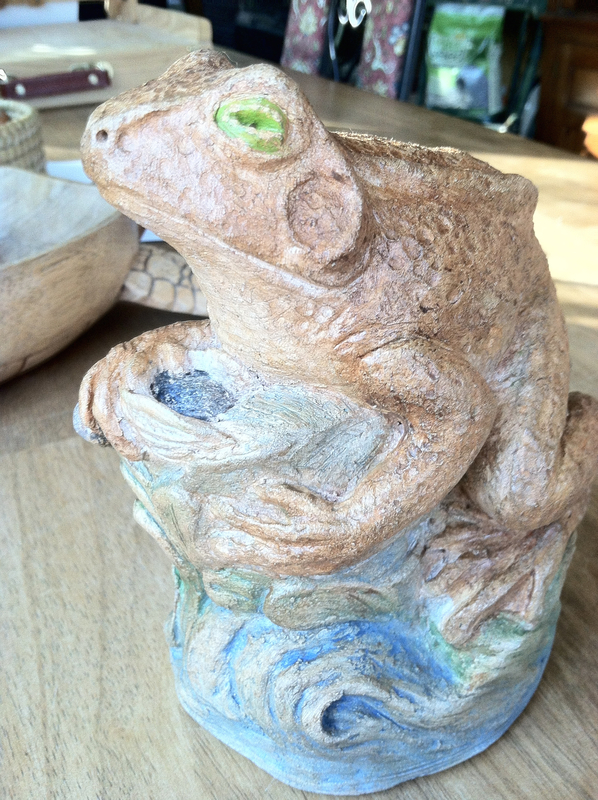 My huzband showed the security guard where he sometimes works a picture of my (then) unfinished frog sculpture. She immediately named him Phillipe. I don’t know why. Here he is, all done with his colorful patina. 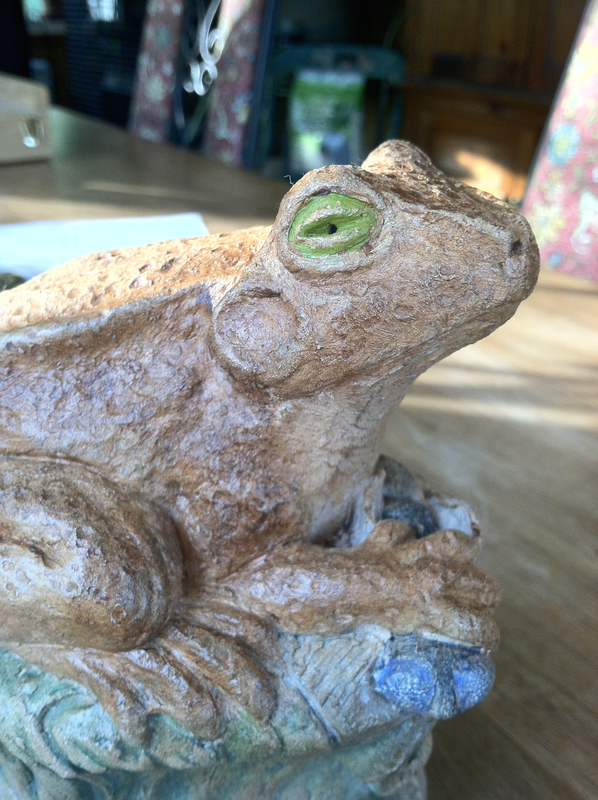 I changed his name to Fillipe because well, he’s a frog and preferred to have his name spelled with an f.
Two views below…not the best phone photo. sorry. This entry was posted on Wednesday, May 14th, 2014 at 5:53 pm	and posted in art, sculpture. You can follow any responses to this entry through the RSS 2.0 feed.